Dr. Elaine Edwards was looking forward to her career as medical director of the Golden Shores Nursing Home. Little did she know she would be thrust into a world of drugs, mystery, and death. She finds herself an unlikely partner to a street-tough, retired New York City detective. Together, they set off to learn why his brother, and other residents at one of Long Island’s prestigious nursing homes, ended up suddenly dying. 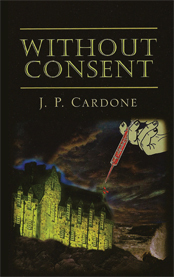 Jason Briggs and his pharmaceutical moguls have other plans, and a future filled with greed and selfish wants. It’s more than a story about good versus evil, it is a story of compassion versus greed. A collection of seven modern day short stories that without a doubt clearly fall under a full moon—when people act strangely and weird things happen. Escape into the lives of ordinary people, who, for one reason or another, find themselves caught up in the events of the moment. Rich with likable characters oftentimes pushed to their limits, these stories will capture your attention and your heart. While the stories go in one direction, the conclusions always have a twist that will land you in the unexpected. 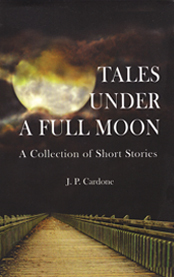 "Tales Under A Full Moon"